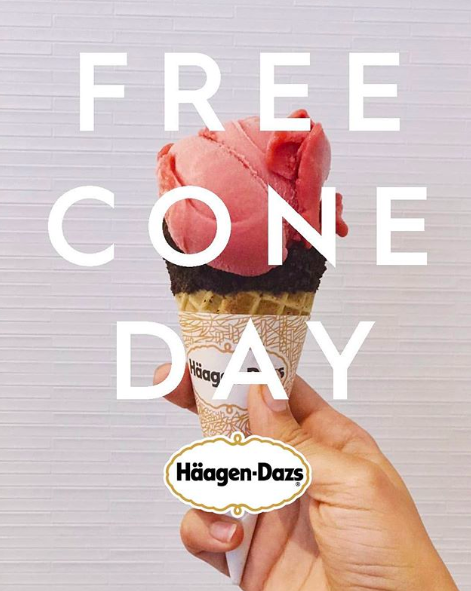 With summer quickly approaching (and with some days already feeling like summer has arrived prematurely), Häagen Dazs is running its annual free cone day today, Tuesday, May 8th from 4-8pm, at participating branded shoppes. Our U.S. retail grocery, club, and convenience store products are OU-D kosher, certified by the Kashrut division of the Union of Orthodox Jewish Congregations of America. products at our Häagen-Dazs Shops and restaurants are not necessarily certified kosher because of the utensils and other ingredients used to serve frozen desserts or drinks.